I first used a Mac at university in the early 90’s. It was in the university library and I’m pretty sure it was a Macintosh Plus. While it worked fine, it was a bit slow and nothing grabbed me about it so my first home computer was an Escom 486 and for years I was a Windows and PC user. It was my main games machine as the FPS market took off and the PC platform served me well for years. The seed that started my move to Mac was in 2001 when the first iPod was announced. I’m pretty sure it was late 2002 or early 2003 before I finally picked up an iPod and suffered using Real software to sync my music on Windows. I loved the iPod. From the packaging to the ease of use, everything about it felt special compared to the competition. I still remember the button lights slowly fading – never got old. Roll forward to 2006 and it was time to upgrade my PC, not to a newer model but making the switch to Apple. 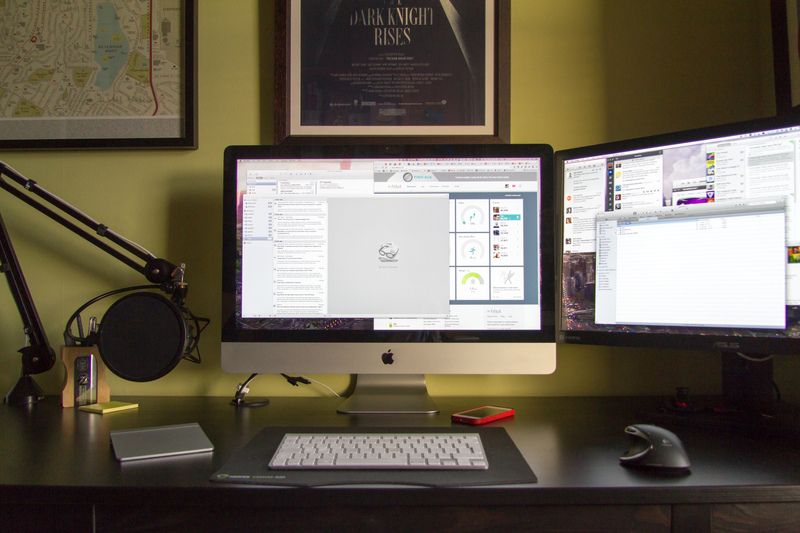 I bought a 21″ iMac and it was such a step change to what I had before. Quiet, fast and an amazing set of applications. A few months later and I bought a Macbook Pro. I was hooked. Now I have a 27″ iMac, a Macbook Air, iPhone 5S, iPad Air and an Apple TV. Overkill but I still love Apple’s product design and software despite my recent moans. I didn’t expect much from Apple to celebrate that today was the 30th anniversary since the Macintosh was introduced but I was wrong. I guess time’s have changed since Steve Jobs passed away. A beautiful website with a great interactive timeline showing the history of the Macintosh. It also wouldn’t right to not have a video from Apple celebrating the event. There’s also an easter egg on the Apple site. A custom font that shows each of the Macs from the last 30 years. Nice. Despite the iPhone and iPad eating into it’s usage, I still wouldn’t be without one. Happy 30th Macintosh. 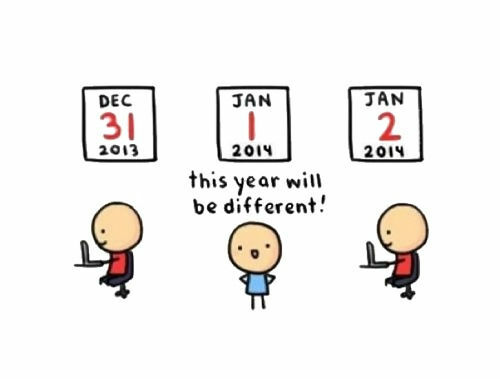 Another year passes and like 2013 I’m making no resolutions that I’ll beat myself up about in 12 months time. Lesson learned…or is it learnt? A picture says 1000 words (thanks Shak). 2013 saw me turn 40 and unexpectedly get into running and lose some more weight. I finished the year under 13 stones after losing around a stone since the start of 2013. A little has crept on over the past month and no doubt some more will creep on over the coming weeks – it always does as I work through Christmas leftovers, but I’m really chuffed at taking weight off after stagnating for a year or two. The biggest surprise was running. I bought running shoes in 2011 but could never get into it. Couldn’t improve with the local hills killing me. In July I gave it one more go using the flatter canal paths and I slowly improved. From struggling to run a mile I can now go out for hour long six mile jogs around Glasgow. I never expected that and I really enjoy it too. Bonus. The rest of the year was a mixture of high’s and low’s but nothing too dramatic. Happy New Year and all the best for 2014.